Can you believe it’s already 2014? So many things have changed in the world of print and digital marketing in the past decade — and many will continue to evolve in the future. You may ask, “Why would I incorporate print into my Inbound Marketing when everything is digital now?” Well, because that’s the problem . . . EVERYTHING is digital now. As consumers, we grow tired of the endless emails flooding our inboxes. More than 60% of all emails we receive are related to sales; and what do we usually do with those emails? Hit DELETE! Although some people may deem print as “old fashioned,” direct mail is tangible, personal, and — in comparison to digital marketing — provides a lot more room for creativity. But a successful marketing strategy does not solely include direct mail OR digital marketing: For your company to successfully obtain strong leads — and nurture your existing clients — you must find a balance between digital AND print to effectively reach and engage your target audience. 1. Create a STANDOUT piece. The best thing about print is that it is tangible. You can create interactive pieces, include flashy designs and textures, and even add scent — the creative possibilities are endless with print. (Click here to see some inspiring examples of cutting-edge printing techniques to make your piece STAND OUT.) Just make sure that your pieces all abide by your brand standards, and you’re set! 2. Create strong content. Even though print is a different medium than digital, you still want your copy to be concise and to the point. Just like email, you only have a few seconds to catch the attention of your reader . . . Make sure every word counts! 3. Incorporate calls to action. What’s the point of your print campaign? Your main goals should be to get your audience to engage in your organization and to then go to the places you direct them: “Call us today to receive our New Year’s special, for a limited time only!” or “Follow us on Twitter and Facebook for the latest industry news and trends!” By incorporating specific calls to action on your direct mail pieces, you are able to direct potential clients to your website landing pages, where they can enter their information on specific forms and may become qualified leads. 5. Polish your lists. Make sure to cleanse your lists on a regular basis for bad addresses and outdated information. 6. Measure your success. Analysis for print campaigns is just as important as it is for measuring your digital efforts. Prior to any integrated campaigns, gather your team and discuss your strategy for measuring your success. 7. Remember this is a process. Using direct mail and print is not necessarily a GOAL, but it is a TOOL . . . just like social media, email, and telemarketing. Integrated print is just another tactic to effectively reach your current and potential clients. 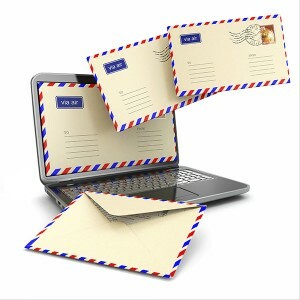 So the big question is, Why should you integrate direct mail into your Inbound Marketing strategy? Perhaps you’re having a hard time effectively nurturing your clients and need a more creative and direct way of reaching them. Or maybe your company is debuting a new product or service and wants to reach a specific audience. Design a direct mail campaign to speak to your niche market, and send it to them directly. Don’t ignore any opportunities to help your business strive in the New Year! Integrate print to STAND OUT amid the chaos of the digital world. If you’re ready to use direct mail as part of your strategic marketing plan, give us a call (262.790.5000) or shoot us an email. We can help!